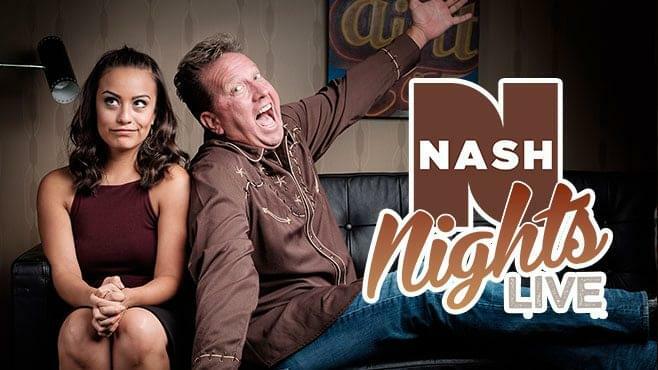 NASH NIGHTS LIVE is an exciting new Country music and lifestyle show featuring the legendary, award-winning host Shawn Parr. The show airs live from Nashville’s hottest new broadcasting complex NASH Country Monday to Sunday from 7 pm to midnight. The show features 12-13 songs per hour, top artist guests, caller and fan interaction, as well as special live events that will take the show on the road to cities across the US. NASH NIGHTS LIVE will feature A-List Guests including Carrie Underwood, Blake Shelton, Dierks Bentley, Jason Aldean, Lady Antebellum, Taylor Swift and more. Filed Under: All Things N.E.W.